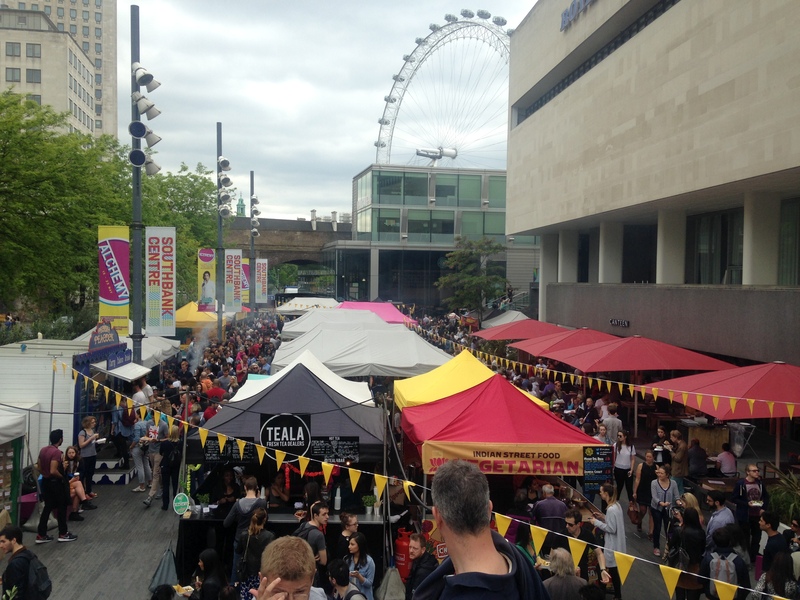 On a quest to use my bank holiday weekend wisely, I decided to give the much praised Southbank centre market a try. The eastern inspired food market is set out by hungerford bridge next to Royal Festival Hall, only a few minutes walk from my halls so I don’t quite know why I never thought to visit before. Luckily I managed to catch it on it’s penultimate day, where new Pakistani food stalls were added to the existing Indian cuisine. The smells coming from the market are incredible, you really want to try everything there! 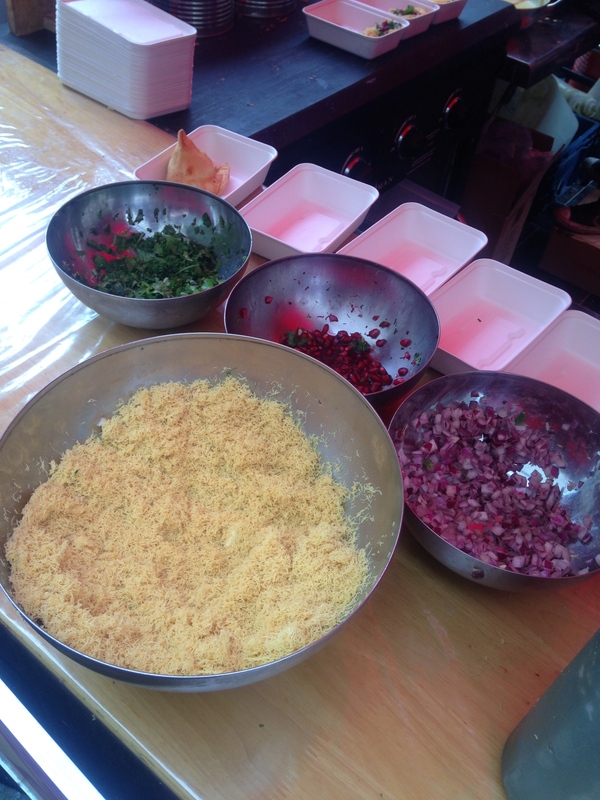 The variety of food ranges from dosa to kebab, samosas, pakoras and curry, all looking and smelling amazing. 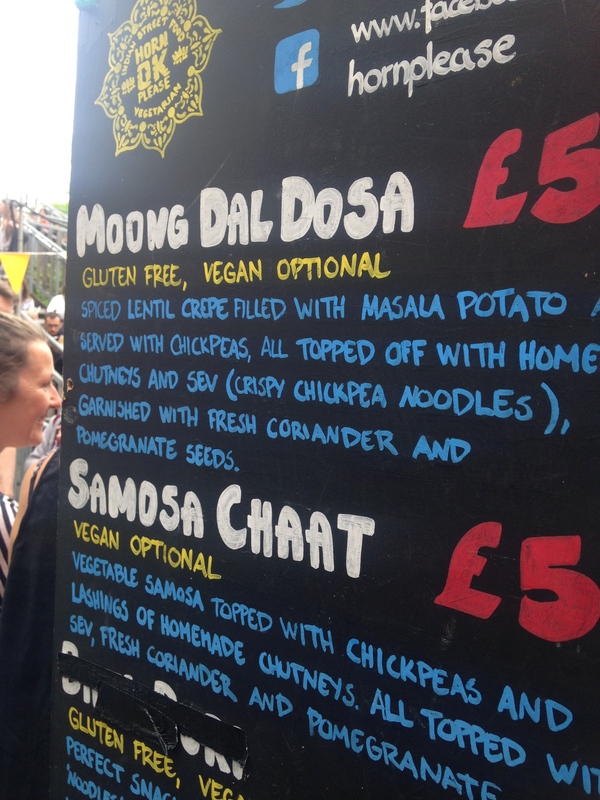 After a long walk around the market, deliberating and trying to choose (trust me, you’ll do the same) I decided to join the lengthy queue for Horn OK Please to grab a Moong Dal Dosa with chickpeas, homemade chutneys and sev ( crispy chickpea noodles). The ladies running the stall were lovely and friendly, I paid £5 for the meal and it was completely worth it, excellent value. The dosa crepes were made infront of the queue and looked delicious. It’s safe to say they tasted pretty good too! 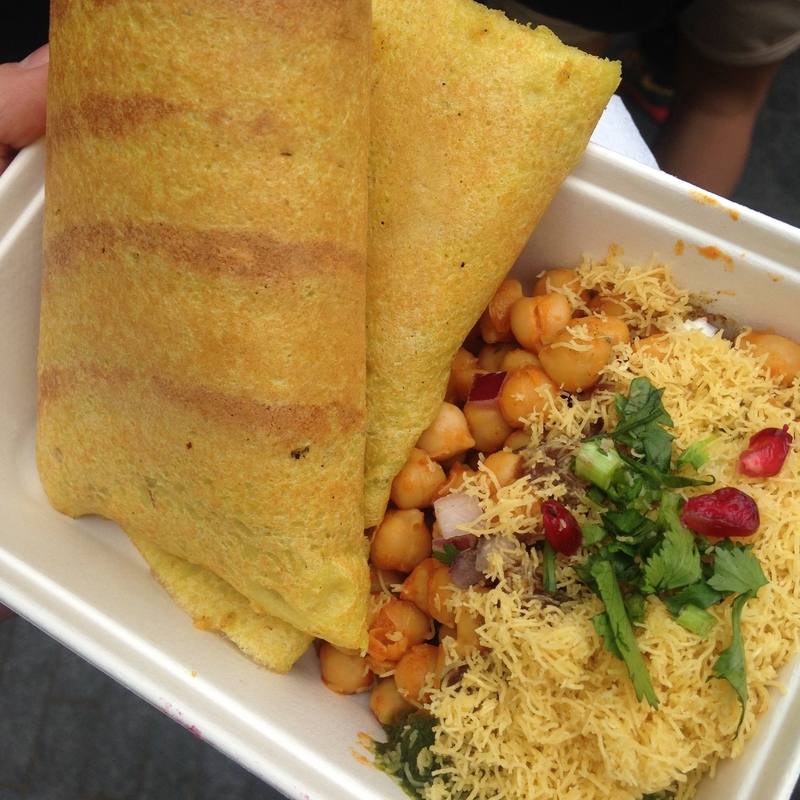 I loved the chickpea side with chutneys, honestly some of the best street food I’ve tasted. Really amazing, I just wish I could have tried more of the dishes available on all the stalls! 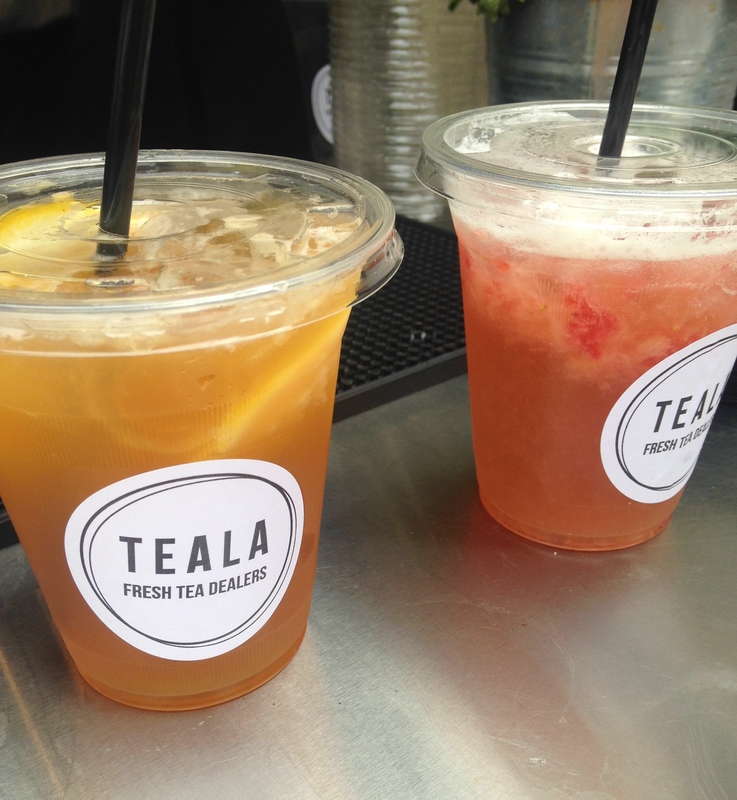 The dosa had a really lovely savoury, salty taste so my friend Dasha and I decided to give Teala’s iced tea a try. The tea was so refreshing, I opted for the ‘southern classic’, lemon and black tea, and Dasha the ‘jasberry’. 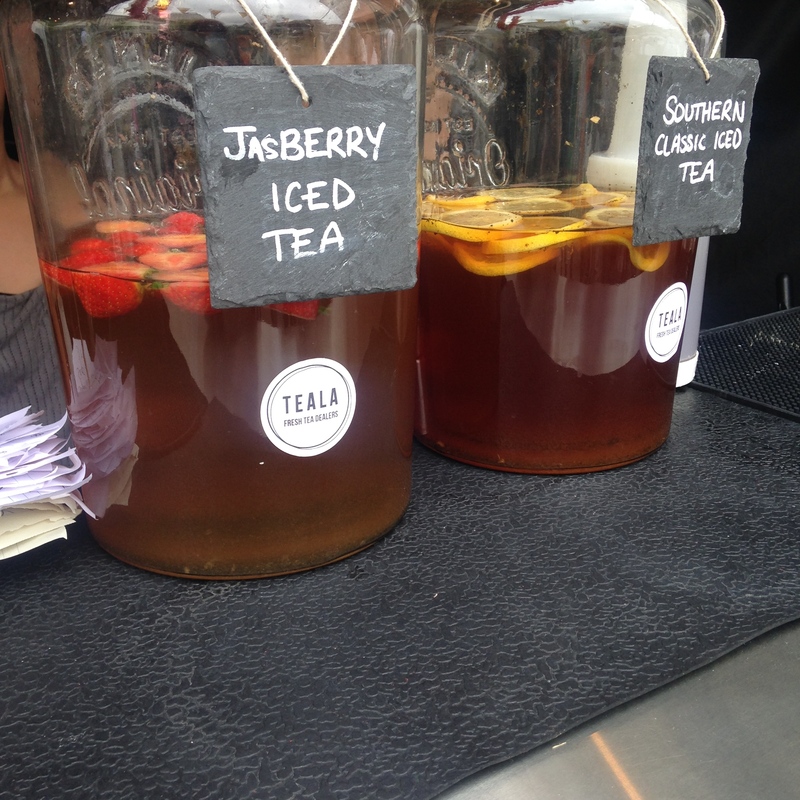 Both were amazing, the jasberry was fruity whereas the southern classic was, as the name would suggest, more like a classic iced tea. 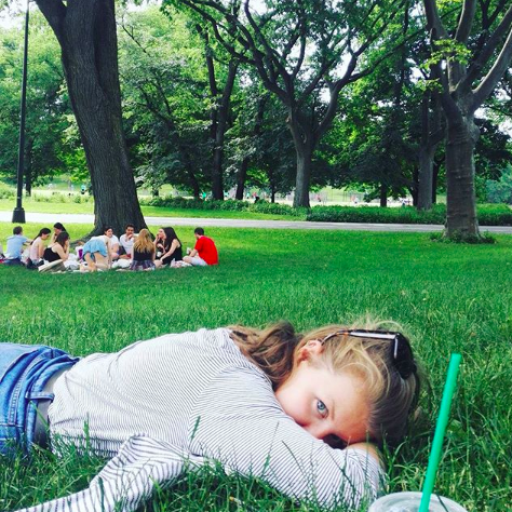 I would fully recommend after spicy food or perfect on a hot day, I could drink it all day! Thoroughly worth the trip, can’t wait for the next market from these guys!